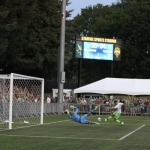 Sounders fans an players are likely still reeling from tonight’s US Open Cup match. 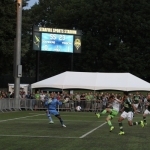 After a nineteen game winning streak at Starfire Sports, Sounders FC fell to the Portland Timbers in the 2015 US Open Cup. The fourth-round matchup saw a lot of early contact, and not a lot of action at either goal line. At the half, there were 0 shots on goal and 15 fouls in the books. The opportunities picked up in the second half, and it felt like we might have a game on our hands. 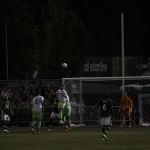 Portland took the lead in the 48th minute, and the Sounders gained momentum and created a number of solid challenge. 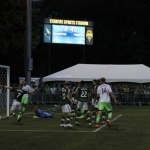 Despite being down to 10 men after a second yellow card for Evans, the Sounders tied things up in the 79th minute when a corner kick from Lamar Neagle made its way to Obafemi Martins, who knocked it home. 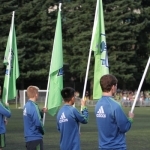 However, the beginning of the end for the Sounders would come shortly thereafter. 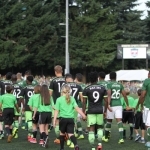 In the 87th minute, Obafemi Martins took a bad step and was escorted off the field on a stretcher. Adding insult to actual injury, the Sounders had made their final substitution of the match a mere 3 minutes earlier. This left the squad down to nine men as the final minutes of regulation time wound down. 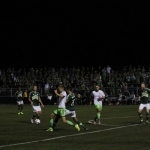 They were able to hold on to send the match into overtime, but they would be facing significant hurdles to make the comeback. 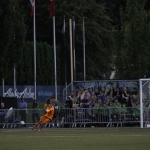 In the 100th minute, Portland would take the lead when Wallace scored the eventual game-winner off a deflection. 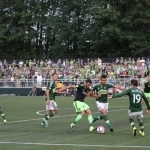 The Sounders worked to mount a comeback, but those dreams were squashed when a questionable red card was shown to Micheal Azira in the 112th minute, causing an uproar from Clint Dempsey that resulted in two yellows for. This left the Sounders with seven men on the field. 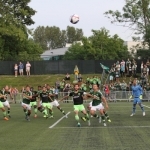 The team continued to press, but the 3rd goal from the Timbers in the 116th minute would be the final score of the match. 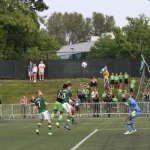 The Sounders fall 3-1 as the Timbers advance to the 3rd round of US Open Cup Play.